If you are anything like me, you have thousands of pictures from abroad but most of them are sitting on your computer…Facebook if you’re lucky. Check out these 9 unique photo displays and give yourself a reason to browse through those old photos again. 1. 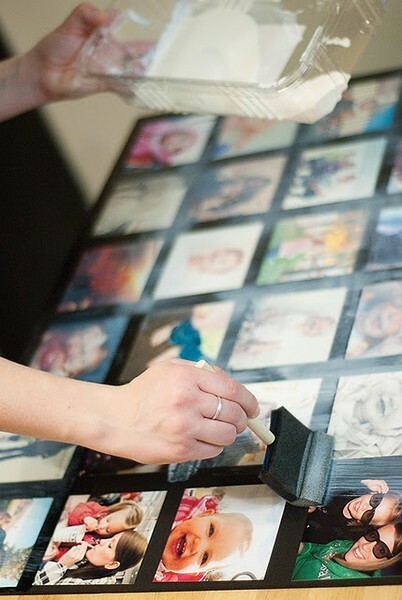 Bring your photos into your entertaining with this DIY Photo Runner by HGTV Design Happens. 2. Don’t have any more wall space? Cover your fridge with these cute DIY Mini Polaroid Magnets by Ambrosia Creative. 3. 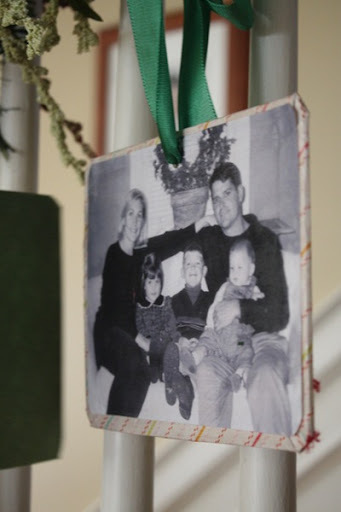 If you have lots of 4×6 photos but not enough frames, this mod podge craft from Hope Anchors the Soul may be the perfect solution. 4. Decorate your sofa with these one-of-a-kind pillows. Find the How-To at MarthaStewart.com. 5. Combine your photos, ticket stubs, and memorabilia into one frame using Alphabet Frame from Design Aglow. 6. For those of you that like to switch out photos regularly, these clipboards featured on Ashley Ann Photography make that an easy task. 7. Incorporate your abroad experiences into the holidays as a reminder of the great gift you’ve been given. Find the instructions for these at Clover Lane. 8. 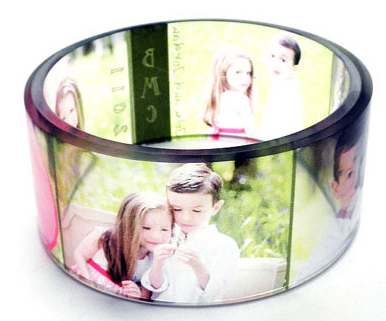 Wear your travels on your wrist with this personalized bangle. Order at ByMyCrap on Etsy. 9. Put your memories in order with this creative calendar journal from Design Sponge. This entry was posted in Cultural Crafting and Gifts and tagged Crafts on May 21, 2012 by eliseblalock.